Prefab is not widely spread in Europe, when looking at the limited number of projects that include prefabricated elements. However, many contractors do have experience with prefab in projects. This experience is mainly based on working with more basic (plain unfinished) prefab elements. This is one of the results of the European Contractor Monitor 2018 of USP Marketing Consultancy. In this research 1,000 contractors with at least 5 employees in eight countries were asked about their attitude towards and usage of prefab. Prefab – also known as ‘off-site construction’ or ‘modern methods of construction’ – has been used in construction projects by a majority of the European contractors. With the exception of France, at least 60% of the contractors in Europe have used some form of prefabricated building elements before. This does not mean that prefab is used in every project (prefab is used in approximately 30% of projects) or that the entire project consists of only prefabricated elements. This means that although there is a solid base of mid- and large-sized contractors that have used prefab in their projects, prefab elements are not widely used in projects yet. 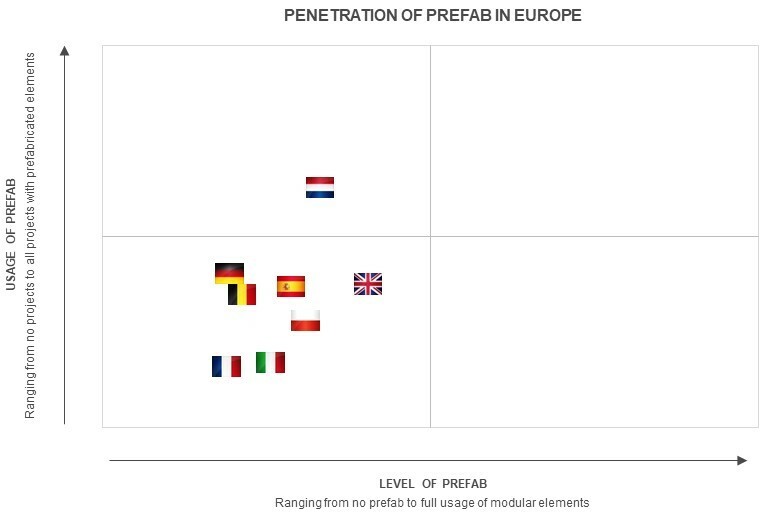 The European Contractor Monitor reveals that the Netherlands and the United Kingdom are the frontrunners when it comes to prefab, albeit in their own ways. Dutch contractors are ahead of their European counterparts because they have the highest share of projects with some form of prefabricated elements. 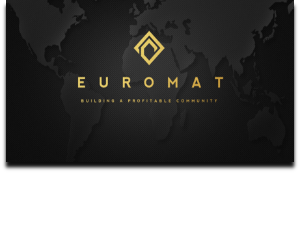 The contractors from the United Kingdom are frontrunners in that they use more advanced prefabricated elements, such as prefabricated modular buildings or volumetric elements. Prefab is a solution to many challenges that the construction sector is facing or will face in the upcoming years. A few examples of this are a faster and more efficient building process, reducing failure costs and a (partial) resolution to the labour shortage. There is, however, a lot to gain and learn when it comes to prefab. Contractors expect that the share of prefab will increase slowly over the next 5 years. One way to speed up the adoption of prefab is a clear track record of successful projects using prefab. To demonstrate the realized benefits of building with prefab elements, the industry needs to communicate which projects have been successful and how. It also needs to explain the implications of working with prefab elements, such as an increased importance of BIM when working on projects that have a high share of prefab.